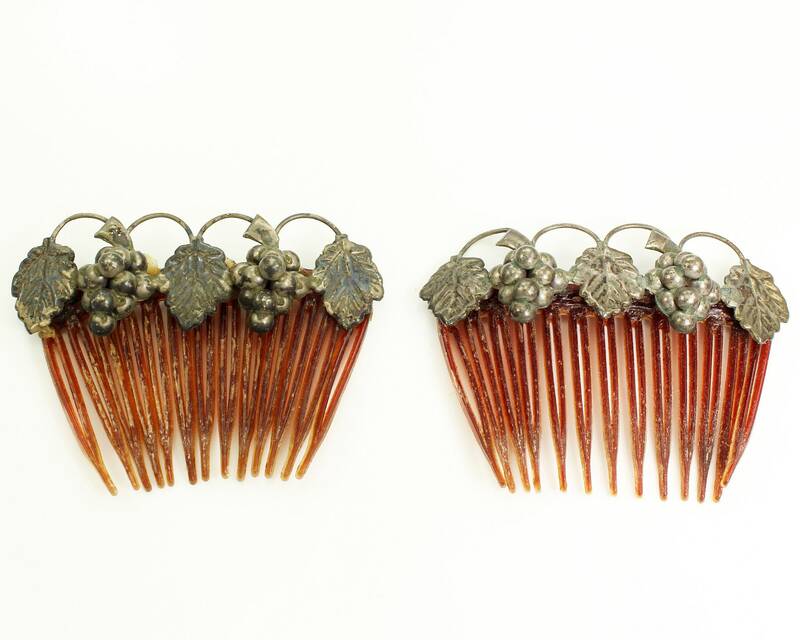 Vintage Mexican Sterling Grape Vine Hair Comb Ornaments. 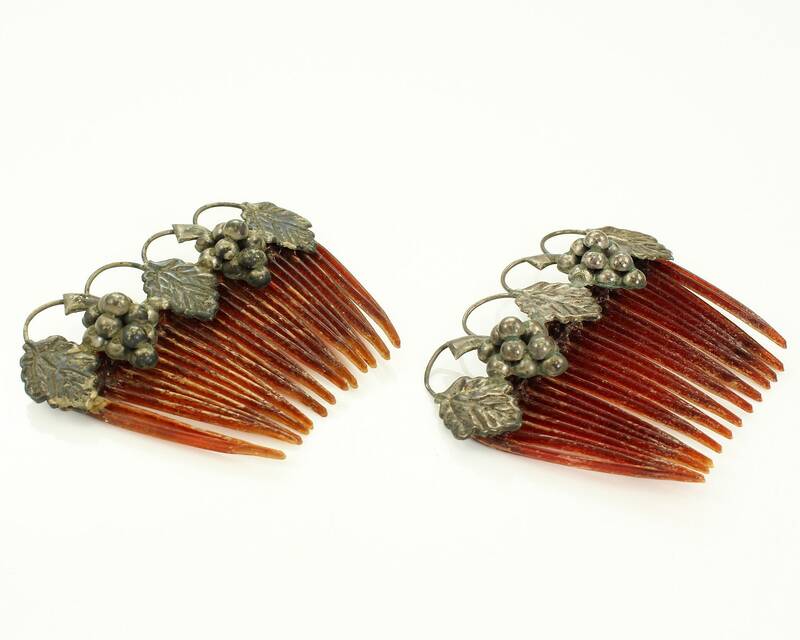 Although this set is in very worn condition, the silver ornaments on top of the combs are so beautiful that I decided to offer them in case someone can recycle them. HALLMARK/HISTORY: Unmarked, but test as sterling. 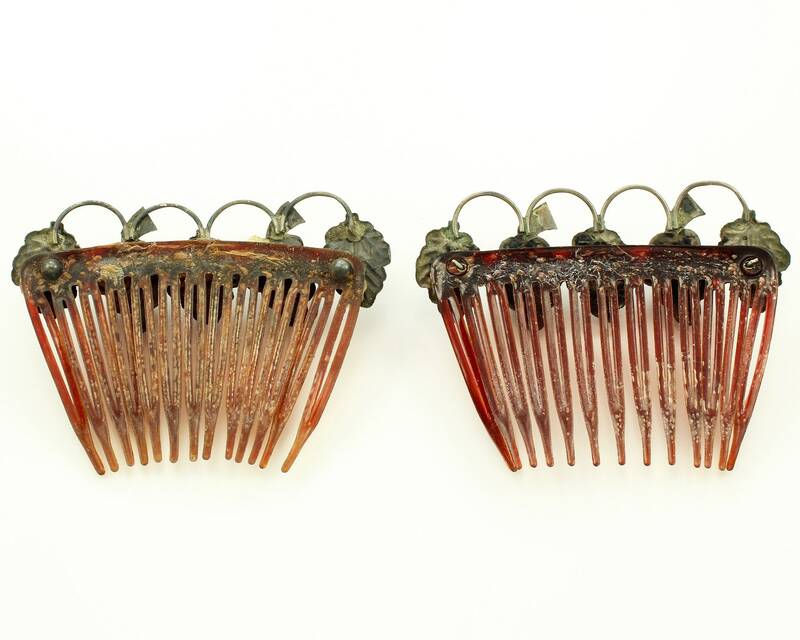 CONDITION: AS IS Condition with the decorative tops separated from the combs themselves and combs distorted.